This modern Quinceanera bookmark is playful and youthful. 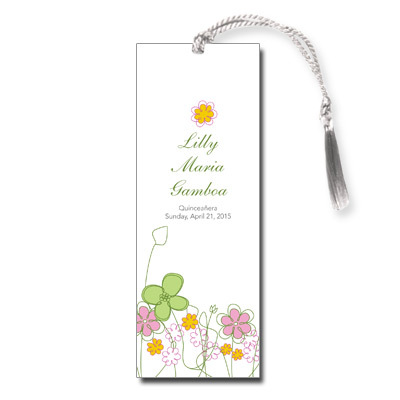 Sketched flowers decorate the surface in shades of pink, green, and yellow, while your child's name is showcased in formal green script and surrounded by personalized text. Bookmark measures 2x5.5 and comes with white tassels; light assembly required.